Ben Smith is software developer currently working on IBM Blockchain, IBM's commercially provided version of The Hyperledger Project. Ben joined IBM in 2012, and works at IBM's Research Triangle Park location in North Carolina. Ben started work at IBM with IBM Cloud, IBM's platform for infrastructure, platform, and software services in cloud. 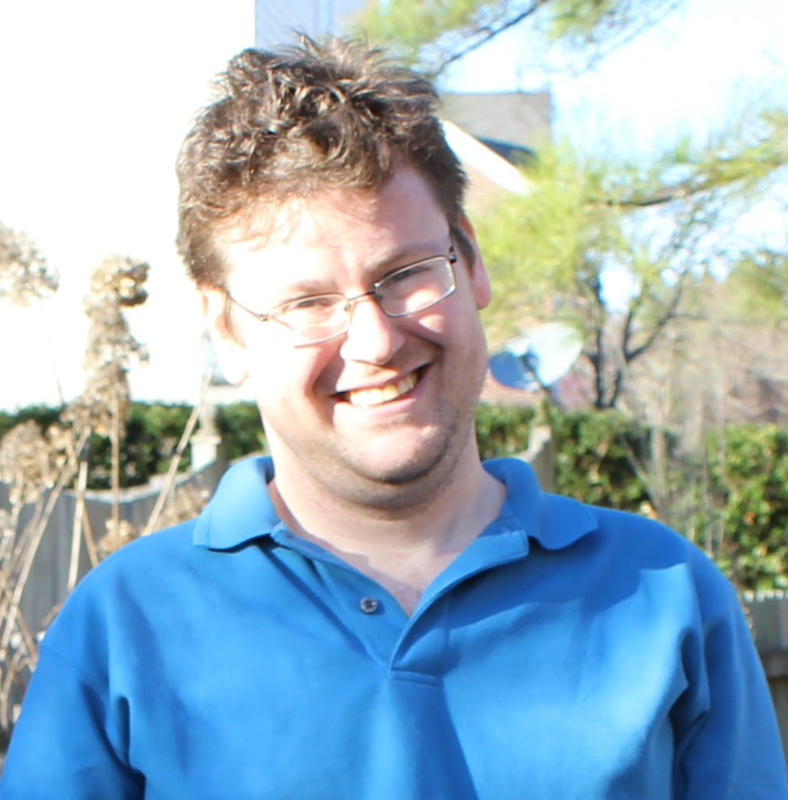 Ben helped stand up the initial instance of IBM's Cloud, at that time called Bluemix, and worked with the WebSphere team to integrate WebSphere Liberty into Bluemix through developing and contributing to the IBM WebSphere Liberty Buildpack, the tool that helps WebSphere users run their apps in the new Bluemix infrastructure. Ben is a recipient of the IBM PhD Fellowship for 2010 and 2011. He received his Bachelor's in Computer Science in May of 2007, and received his Master's of Science in Computer Science in May of 2009. He received his Doctorate in Computer Science in 2012, advised by Dr. Laurie Williams at North Carolina State University. Ben currently works on a team of developers who provide the IBM Bluemix Blockchain Service, which allows users to spin up a Hyperledger Blockchain network with one click. After users have started their network, they can experiment and begin development of Blockchain applications. Ben also offers his expertise in data collection and analysis to medical researchers. He participated in a collaborative research project that analyzed the prevalence of sleep apnea in truck drivers. He has also participated in another project that examined the sleep patterns of undergraduate students in a sleeping and wellness course at a major public university. Ben is also a musician, and has been playing piano since high school. He experiments with home recording and is working on writing an album. Some of his music can be found on bandcamp. Ben enjoys hiking and experimenting with Raspberry Pi in his free time. Interview Ben Smith for IBM, "The Security of Electronic Health Records Systems", 2011. Book Chapter A. Meneely, B. Smith, L. Williams, "iTrust Electronic Health Care System: A Case Study" in Software Systems and Traceability. J. Cleland-Huang, O. Gotel, A. Zisman, eds. Springer, pp. 425-438, 2012. Book Chapter Hala Aziz, Ahmed Azrag, et al., "Essentials of Cloud Application Development on IBM Bluemix An IBM Redbooks publication", and IBM Redbooks publication. Journal A. Meneely, B. Smith, and L. Williams, "Software Metrics Validation Criteria: A Systematic Literature Review." Transactions on Software Engineering and Methodology, vol. 21, no. 4, 2012. Journal B. Smith and B. Phillips, "Truckers Drive Their Own Assessment for Obstructive Sleep Apnea: A Collaborative Approach to Online Self-Assessment for Obstructive Sleep Apnea", Journal of Clinical Sleep Medicine, vol. 7, no. 3, pp. 241-245, 2011. Journal B. Smith and L. Williams, "On Guiding the Augmentation of an Automated Test Suite via Mutation Analysis", Empirical Software Engineering, vol. 14, no. 3, pp. 341-369, 2009. Journal B.H. Smith and L. Williams, "Should Software Testers use Mutation Analysis to Augment a Test Set? ", Journal of Systems Software, vol. 82, no. 11, pp. 1819-1832, 2009. Conference B. Smith, K. Christidis, "IBM Blockchain: An Enterprise Deployment of a Distributed Consensus-based Transaction Log", Fourth International IBM Cloud Academy Conference (ICA2016), Alberta, Canada, pp. 140-143, 2016. Conference B. Smith, J. Feller, "Introduction to IBM's Bluemix Platform-as-a-Service Environment", Second International IBM Cloud Academy Conference (ICACON2014), 2014. Conference B. Smith, L. Williams, "On the Effective Use of Security Test Patterns", Sixth International Conference on Software Security and Reliability (SERE2012), Washington, DC, USA, pp. 108-117, 2012. Conference A. Massey, B. Smith, P. Otto, A. Antón, "Assessing the Accuracy of Legal Implementation Readiness Decisions," International Requirements Engineering Conference (RE 2011), Trento, Italy, pp. 207-217, 2011. Conference B. Smith, L. Williams, "Using SQL Hotspots in a Prioritization Heuristic for Detecting All Types of Web Application Vulnerabilities", Proceedings of the International Conference on Software Testing, Verification and Validation (ICST 2011), Berlin, Germany, pp. 220-229, 2011. Conference B. Smith, G. Hull, B. Stanton, B. Phillips, "Truckers Drive Their Own Assessment for Obstructive Sleep Apnea: A Collaborative Approach to Online Self-Assessment for Obstructive Sleep Apnea", CHEST 2010, vol. 138, no. 4, 2010. Conference B. Smith, L. Williams, A. Austin, "Idea: Using System Level Testing for Revealing SQL Injection-Related Error Message Information Leaks", Lecture Notes in Computer Science, vol. 5965, Engineering Secure Software and Systems (ESSoS 2010), pp. 192-200, 2010. Workshop P. Morrison, B. Smith, L. Williams, "Surveying Security Practice Adherence in Software Development", Proceedings of the Hot Topics in Science of Security: Symposium and Bootcamp (HoTSoS 2017), pp. 85-94, 2017. Workshop P. Morrison, B. Smith, L. Williams, "Measuring Security Practice Use: A Case Study at IBM", 2017 IEEE/ACM 5th International Workshop on Conducting Empirical Studies in Industry (CESI 2017), pp. 16-22, 2017. Workshop B. Smith, "Testing Electronic Health Records Applications with a Security Test Pattern Catalog Developed Using Empirical Data", Proceedings of the International Health Informatics Symposium Doctoral Consortium (IHI 2012), 2012. Workshop J. King, B. Smith, L. Williams, "Modifying Without a Trace: General Audit Guidelines are Inadequate for Electronic Health Record Audit Mechanisms", Proceedings of the International Health Informatics Symposium (IHI 2012), pp. 305-314, 2012. Workshop B. Smith, "Systematizing Security Test Planning Using Functional Requirements Phrases". Proceedings of the 33rd international conference on Software engineering Doctoral Consortium (ICSE '11). Honolulu, HI, pp. 1136-1137, 2011. Workshop B. Smith, A. Austin, M. Brown, J. King, J. Lankford, A. Meneely, L. Williams, "Challenges for Protecting the Privacy of Health Information: Required Certification Can Leave Common Vulnerabilities Undetected", Proceedings of the Security and Privacy in Medical and Home-care Systems (SPIMACS 2010) Workshop, co-located with CCS, Chicago, IL, pp. 1-12, 2010. Invited Talk B. Smith, "Metrics validation criteria: How do we know when a metric is worthwhile?" Presented at Workshop on Security Predictions, Pisa, Italy, 2010. Workshop B. Smith, Y. Shin, and L. Williams, "Proposing SQL Statement Coverage Metrics", Proceedings of the Fourth International Workshop on Software Engineering for Secure Systems (SESS 2008), co-located with ICSE, pp. 49-56, 2008. Workshop B. H. Smith and L. Williams, "An Empirical Evaluation of the MuJava Mutation Operators", Mutation 2007, co-located with TAIC-PART, pp. 193-202, 2007. Poster B. Smith, E. Smith, B. Phillips, "Living Well: Do Health Education College Students Sleep Better? ", proceedings of SLEEP 2011, Minneapolis, MN, vol. 34, abstract supplement pA264, 2011. Poster A. Austin, B. Smith, L. Williams, J. Halladay, "How Secure is Your Electronic Health Record System? ", presented at North Carolina Academy of Family Physicians Weekend (NCAFPW), Asheville, NC, December 2010. Poster B. Smith and L. Williams, "Only Grey Box Testing Can Detect Input Validation and Error Message Information Leakage Vulnerabilities", presented at State of the Art in Testing and Analysis Day (SATA), March 2009. Tech Report B. Smith and L. Williams, "Systematizing Security Test Planning Using Functional Requirements Phrases". North Carolina State University, Technical Report #2011-5. Tech Report B. Smith and L. Williams, "A Survey on Code Coverage as a Stopping Criterion for Unit Testing", North Carolina State University, Technical Report #2008-22. Guest Lecturer at NC State for Computer Science and Electrical and Computer Engineering 2016-2018.